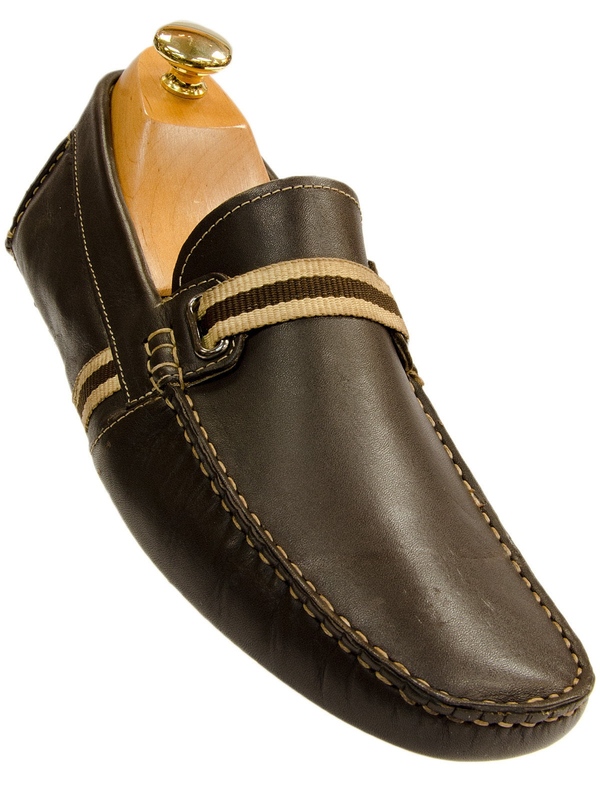 Giorgio Brutini Brown Leather Slip On Trending Formal Casual Light Loafer Shoe! An elegant style that speaks to the leisurely side of your wardrobe. 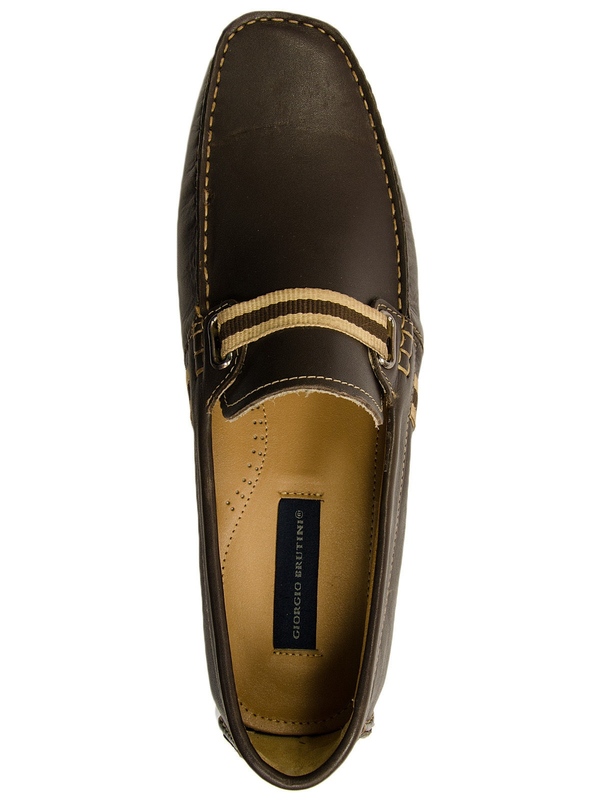 This loafer is cast in a rich brown tone and features a preppy striped strap across the top. Contrast moc-toe stitching detail. Deeply treaded soles will keep you slip-free all day (and night). 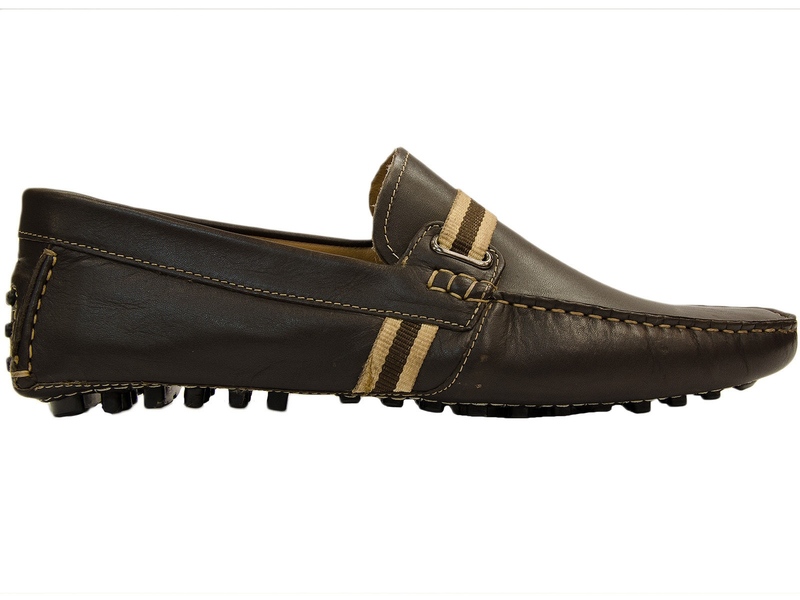 Step out in style the next time you go out with this loafer brought to you by ShopBigTime!